Zooms in to the head of a resting kangaroo. 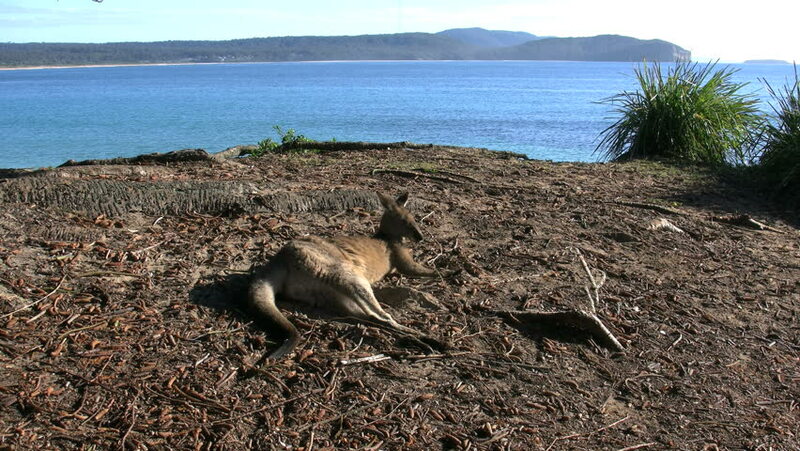 4k00:16A kangaroo lounges by the water. 4k00:23Rippled sand bank mud flats overcome by incoming tide. Tidelapse. 4K UHD version. 4k00:18Gold Coast, Queensland/Australia - 19 January 2018: Elevated views of the ocean from Point Danger over Duranbah on the Southern Gold Coast, Australia. 4k00:16Hot sunny day. Waves of the Black Sea. Shooting movies in 4K. The shutter speed is 1/50. With the use of ND-filter. hd00:24Yellow grass gently blowing in the breeze in front of the cliffs and wide blue sea.